Thank you for visiting, welcome on the GeoMapFish (GMF) community website! 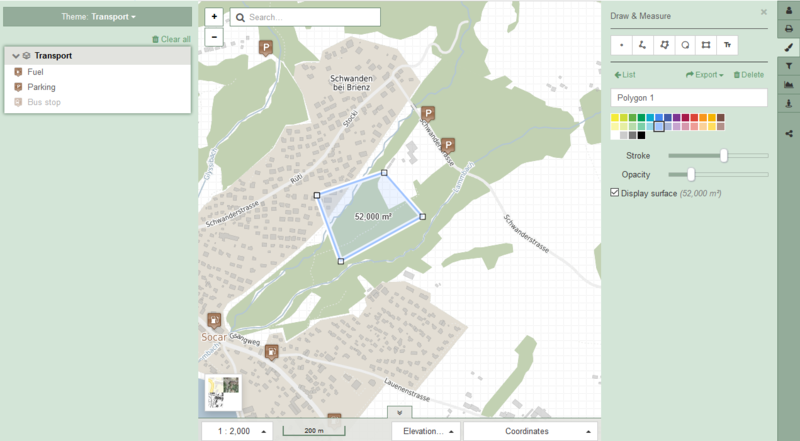 GeoMapFish allows to build rich and extensible WebGIS in an easy and flexible way. It has been developped to fulfill the needs of various actors in the geospatial environment, might it be public, private or academic actors. GeoMapFish is organized around a community and a project steering committee. For a full list of features, please take a look at the functionalities page. Mapping includes all expected tools one would need in a WebGIS: measurement, drawing, printing, etc. Advanced editing is possible (points, lines, polygons, snapping) on protected DB layers which can even be restricted to some given area. Responsive templates are made available for an fluid user experience. Customizable and extensible application - Plugins and even user developped plugins can be added or removed from the application in order to give you complete control of what experience you want to share with your users.